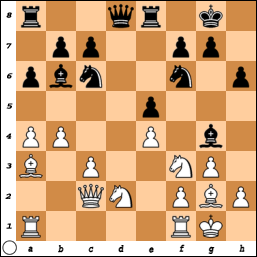 A critical position in the Philidor Counter Gambit occurs after the opening moves 1.e4 e5 2.Nf3 d6 3.d4 f5 4.Nc3 fxe4 5.Nxe4 d5 6.Neg5 exd4 7.Nxd4. 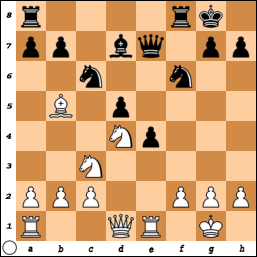 Now Black's best continuation may be 7...Bb4+ 8.c3 Qe7+ 9.Be2 Bc5 10.O-O Bxd4. 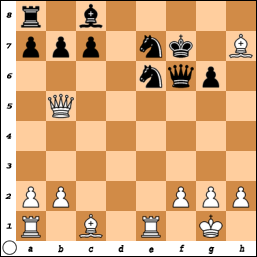 White does not have to take the bishop immediately. 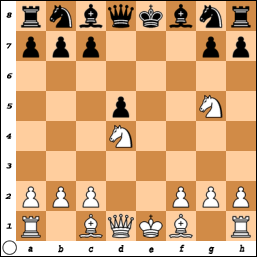 Play could continue 11.Re1 Be5 12.f4 Qc5+ 13.Kh1 Ne7 14.Be3 Qc6 15.fxe5 O-O (or perhaps 15...h6 16 Nf3 O-O) with a complicated position. 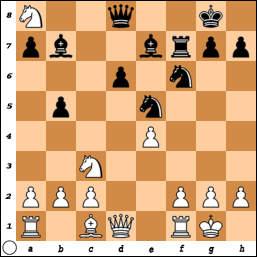 If instead White takes at once with 11.cxd4, a likely continuation is 11...Qf6 12.Bd3 (or 12.Re1 Ne7 13.Bd3 O-O 14.Bxh7+ Kh8) Ne7 13.Nxh7 Rxh7 14.Bxh7 g6 15.Re1 Nbc6 16.Qb3 Nxd4 17.Qxd5 Ne6 18.Qb5+ Kf7 with the idea of eventually capturing White's trapped bishop. 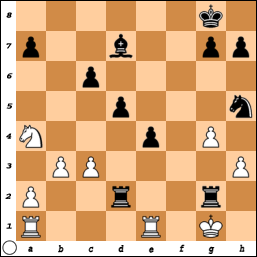 My 32 Blog Posts on "Pawn Sacrifice"
At his Chess For All Ages blog, Mark Weeks [pictured] has compiled a list of my 32 blog posts on the Bobby Fischer biopic Pawn Sacrifice. 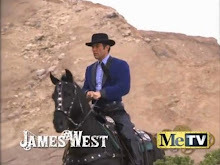 On December 22nd, the film will be released on Blu-ray and DVD. 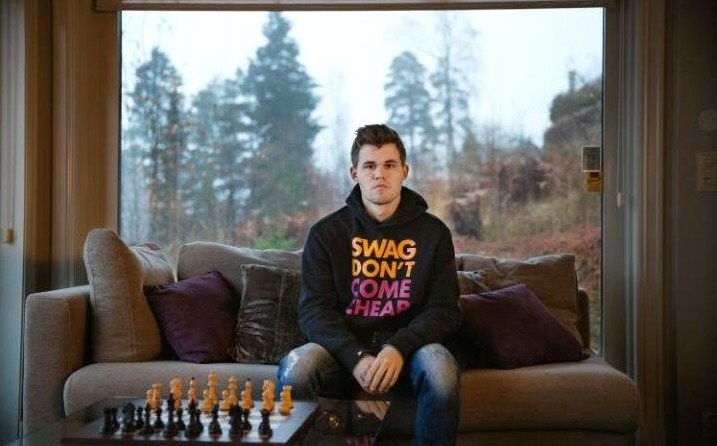 Magnus Carlsen Interview in "The Telegraph"
Nigel Farndale interviews Magnus Carlsen. 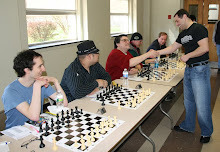 At the Chess Mates blog, I have posted pictures taken by me during Saturday's tournament. FIDE President Sanctioned by Treasury Dept. 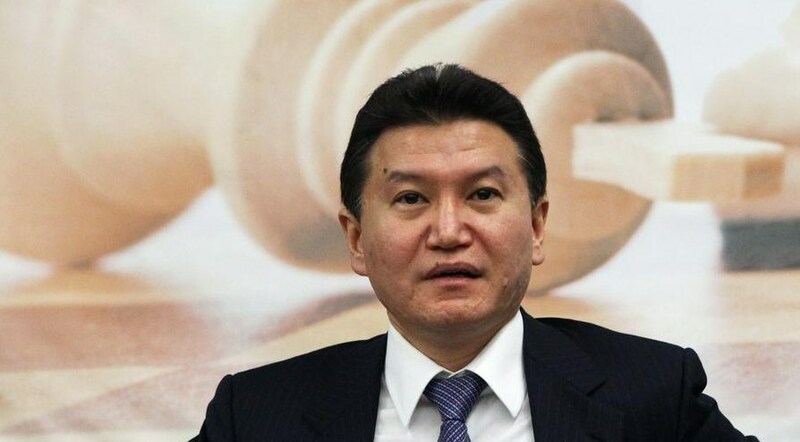 FIDE president Kirsan Ilyumzhinov [pictured] has been sanctioned by the U.S. Treasury Department for "materially assisting and acting for or on behalf of the Government of Syria, Central Bank of Syria." NM Maximillian Lu in "NY Post"
NM Maximillian Lu [pictured] is featured in this New York Post article. On Sunday, I drew this game at the quads in Westfield. 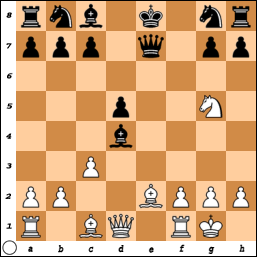 13.b4 Nf6 14.Qc3 Bxf3 15.Bxf3 Be5 16.Qc2 Bxa1 17.c5 Nd5 18.cxb6 axb6 19.Bd2 Bf6 20.Qc6 Qd6 21.Qc4 Kb8 22.Rc1 c6 23.a4 Rd7 24.g3 Ra7 25.Qb3 Rd8, draw. 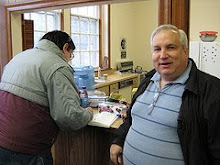 On Saturday, NM Art Macaspac [pictured, left] won the tournament at Chess Mates. 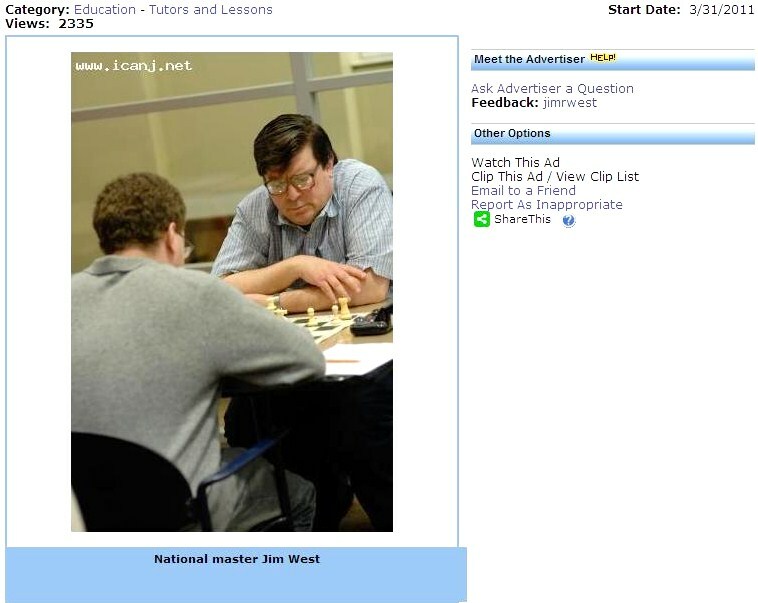 Dylan McClain [pictured], former chess columnist for The New York Times, interviews Ed Zwick. 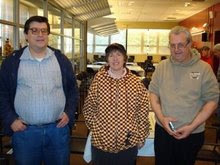 Pictures taken by me during Dr. Machan's Super Swiss have been posted at the Chess Mates blog. On Wednesday, the final class in the fall 2015 session of the after school enrichment program on chess, run by Enrich and Grow Academy and coached by me, took place at Torey J. Sabatini School. The tournament was won by Jonathan Lu with a perfect score, trailed by Zachary Elden and Jackson Flores in second and third places respectively. All three were awarded medals. Each of the eleven students received a certificate. 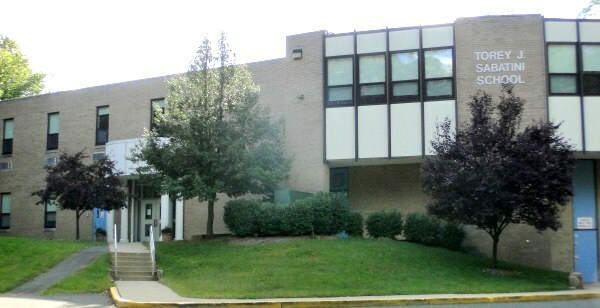 Starting on Thursday, December 3rd, a six-week chess program will be conducted at the public library in Rutherford NJ. Chess blogger Brooklyn 64 has converted Bobby Fischer's famous A Bust to the King's Gambit from its original descriptive notation to algebraic notation. 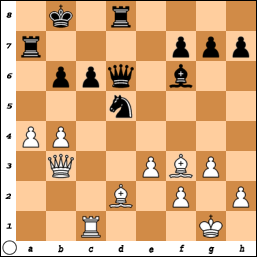 13.Nde2 Qc5 14.h3 Rad8 15.Bxc6 bxc6 16.Qd4 Qxd4 17.Nxd4 Rb8 18.Na4 Rb4 19.b3 Rxd4 20.c3 Rd2 21.Kf1 Nh5 22.g4 Rfxf2+ 23.Kg1 Rg2+, White resigns. 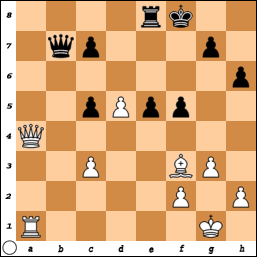 30.Qc6 Qb2 31.Qxc5+ Kg8 32.Rf1 e4 33.Bh5 Rd8 34.Qxc7 Ra8 35.d6 e3 36.fxe3 Ra2 37.Bf7+ Kh7 38.Bxa2, Black resigns. 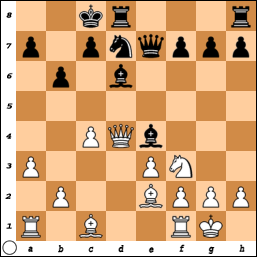 At the Chess Mates blog, I have posted my game against Mauricio Camejo [pictured, right] from yesterday's tournament. 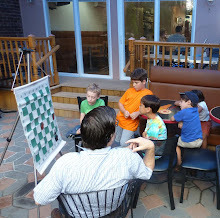 During last weekend's tournament at the Marshall Chess Club, I photographed the players. 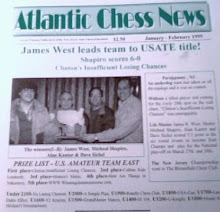 TOMS RIVER -- Ever wanted to test your chess game against a grandmaster? You could have your chance on Saturday, Nov. 14 when Grandmaster Irina Krush -- a seven-time winner of the U.S. Women's Chess Championship -- will appear at Ocean County College for a free lecture followed by an exhibition in which she will play 35 simultaneous games. The event will take place at the college's Student Center, 1 College Drive. The free lecture by Krush will begin at 11 a.m., with a break for refreshments at noon. The simultaneous games will begin at 1 p.m. The lecture is free, but there is a $15 fee to play Krush in a game. 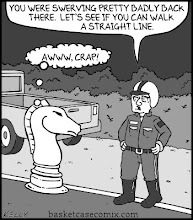 Stephen Shoshin, president of the Toms River Chess Club, which is sponsoring Krush's appearance, said there are still a few slots left to play Krush on Saturday. 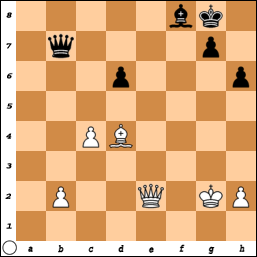 A grandmaster is the highest title a chess player can achieve. To reserve a board, contact Shoshin at shoshin0407@yahoo.com or call (732) 598-8125. Krush, 31, was born in Odessa, now Ukraine, and came with her parents to Brooklyn in 1989. That was the same year she learned how to play chess, at age 5. 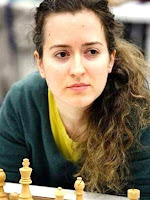 In 1998, Krush became the youngest ever U.S. women's champion, according to her United States Chess Federation biography. 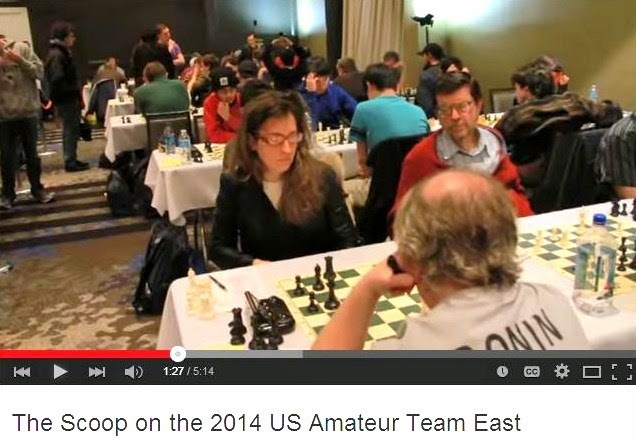 She's won the U.S. Women's Chess Championship in 2012, 2013, 2014 and again this year. Her hobbies include photography, yoga and making rap music. 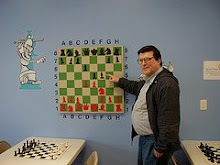 The Toms River Chess Club meets every Thursday at town hall, 33 Washington St., from 6:30 to 11 p.m. 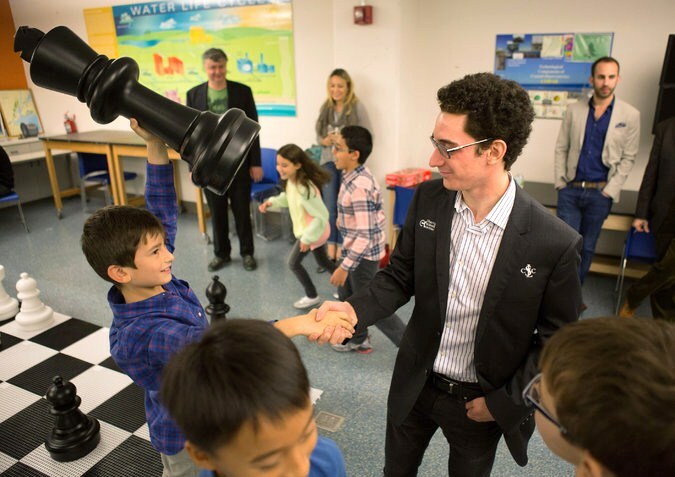 In The New York Times, James Barron writes an article on grandmaster Fabiano Caruana and the Liberty Science Center in Jersey City. 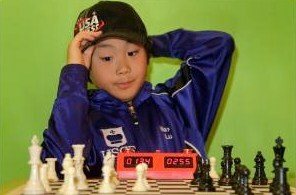 In the quarterfinals round of the U.S. 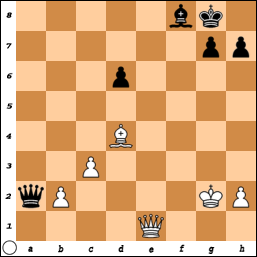 Chess League, the match between the New Jersey Knockouts and the New York Knights ended in a technical knockout, with New Jersey being eliminated from the playoffs by draw odds. 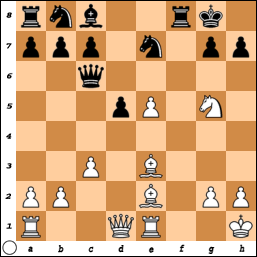 With every game drawn, the players were pulling their punches on boards one, two, three, and four. 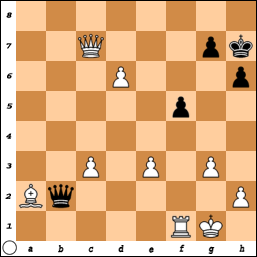 29.Qf2 Qb3 30.Qe2 h6 31.c4 Qb7+, draw. 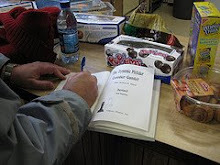 "Pawn Sacrifice" in "The Dartmouth"
"NY Times" Review of "Winter is Coming"